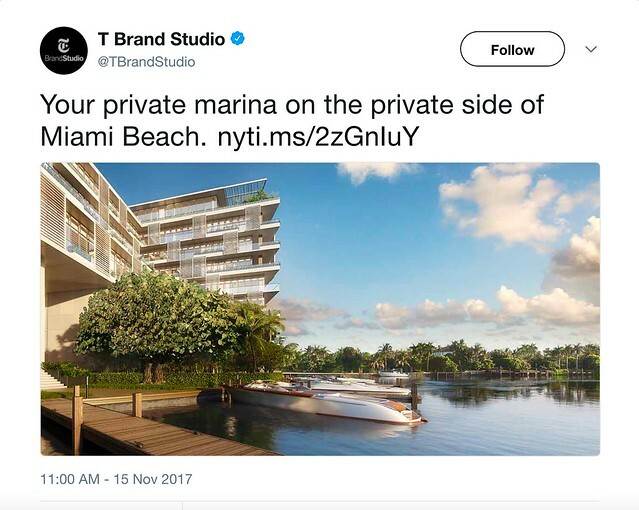 As the post title suggests, you are probably not the target audience, either currently or aspirationally, for this ad ($40 million penthouses aren’t in my future). When you wonder about certain editorial decisions the NY Times makes, remember this is where and how they make their money. This is their target demographic. This entry was posted in Bidness, News Media. Bookmark the permalink. I also find the Times’ advertising and commercially-oriented features (the Style Section?) borderline offensive, depending on my day’s mood. But I don’t think that the super-rich are their “target demographic” as a newspaper – or at least, not the only target demographic. The other one, at least so it seems to me, are the opinion-makers and intellectual elites of American society, not all of whom are super-rich. What they are is super-educated, and super-influential at the intersection of politics, culture, and media for the upscale (top 20%) of our nation. The ads for $40 million penthouses pay the bills, to be sure. But the articles and general high standard of the reporting keeps the paper more relevant and interesting than most of the other media outlets that have ads aimed at zillionaires.